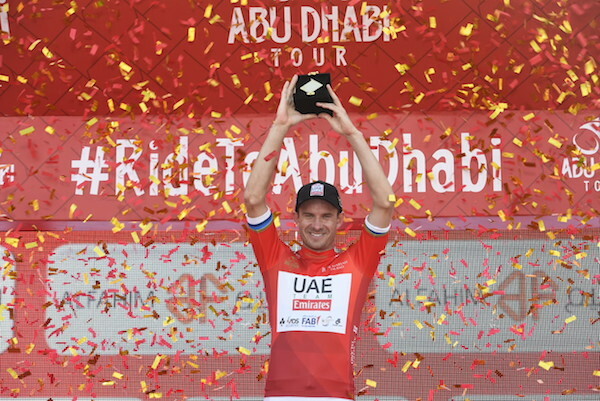 Madinat Zayed, 21 February 2018 – The European road champion Alexander Kristoff (UAE Team Emirates) won the opening stage of the 2018 Abu Dhabi Tour, starting and finishing in Madinat Zayed (189km), in a bunch sprint and took the lead in the General Classification. On the podium he was rewarded with the first race leader's Red Jersey, sponsored by Al Maryah Island, and also the points leader's Green Jersey, sponsored by Emirates Post. The route of Stage 2 is predominantly through in the eastern part of the city. After the start, it runs through Reem Island with a first passage along the Corniche heading south on wide roads and passing the Grand Mosque, from where the course leads towards Shakhbout City, which features several roundabouts and the intermediate sprint. 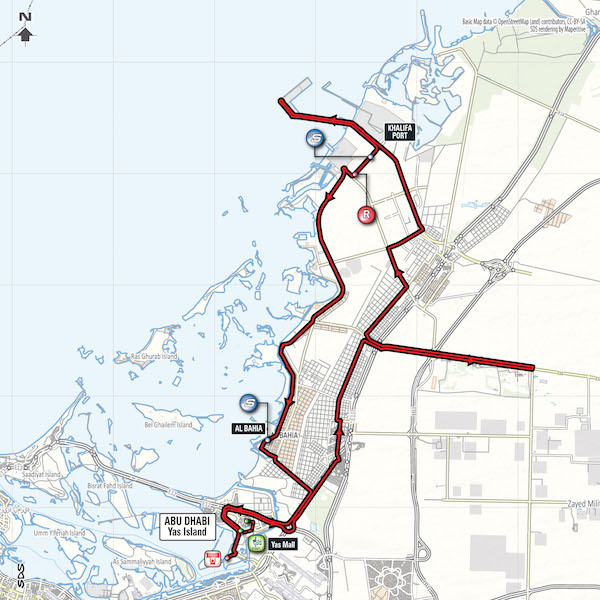 Then, still on wide and straight roads, it goes through Al Shamaha and Al Bahya (second intermediate sprint) before returning to Yas Island where the route continues along Sheikh bin Zayed Highway until it comes back to the Corniche and the finish. The whole course is on wide roads but riders must pay attention to the cat's eyes that divide the lanes.